Daily Bible Verse 101: Go preach the Gospel to all the World. Go preach the Gospel to all the World. "It was not you who chose me, but I who chose you and appointed you to go and bear fruit that will remain, so that whatever you ask the Father in my name he may give you." (John 15: 16). 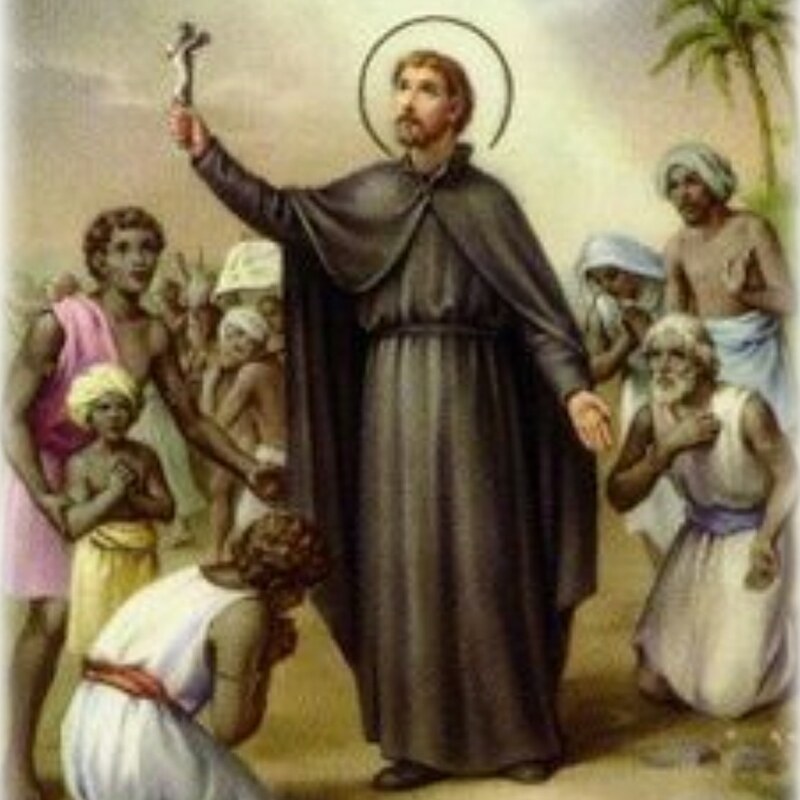 Today is the feast of St Francis Xavier (1506 - 1552). St Ignatius Loyola founded the Society of Jesus with St Francis Xavier. Francis heard Jesus calling him through St Ignatius and appointing him to go and bear fruit that will last through St Ignatius. His response to Jesus was most generous. "I will bear witness to You in the world O Lord. I will spread the knowledge of Your name among my brothers and sisters. (Psalm 17: 50 ; 21:23 RM). St Francis traveled to India, Japan and China out of longing for the salvation of souls. He converted hundreds of thousands of people to Jesus. Jesus is still calling today: “Go into all the world and preach the gospel to all creation." The Internet and smartphone have made it easy today for everyone to respond to the call of Jesus from your home, work, bus, train, plane. In the park, grocery stores, restaurants, etc. If you do not create contents like blogs or articles, you can distribute contents. How? You receive a daily scripture verse, you share it with friends, family or co-workers via text, email or Facebook or any of the Social media. Imagine if your friend shares the same scripture verse with one friend. In 365 days, you may have enabled over 1000 people to read Scripture and become Internet missionaries. It is not difficult at all. All you need is to say Yes to Jesus. Prepare your heart for the Lord. Honor the Sacred Heart of Jesus this Friday. Where and how do you build your family home? What will the Lord provide on this Mountain?